Aerospace and defence innovators need more out of their suppliers than transactional relationships. In a rapidly developing market, assistive programs and expanded service offerings from manufacturing partners are integral to success. Simply put, the right fit matters. 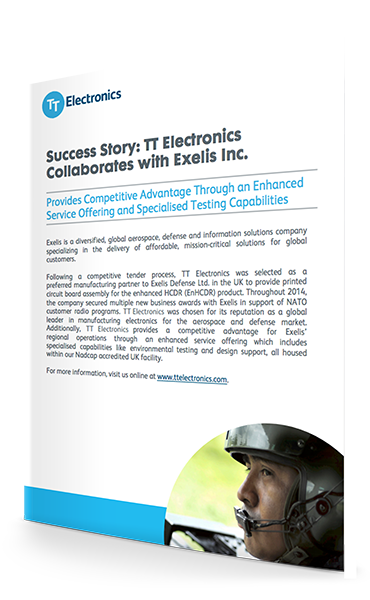 Download this success story and learn how value-added services provide a competitive advantage for Exelis, who specialise in the delivery of affordable, mission-critical solutions for global customers. Subscribe to our newsletter to receive regular updates and tips about electronics manufacturing to get instant access to the free case study.